Is this Cornwall's best heritage attraction? Is this Cornwall’s best heritage attraction? A visitor climbs the escape steps from Porthcurno’s unique underground telegraph station. 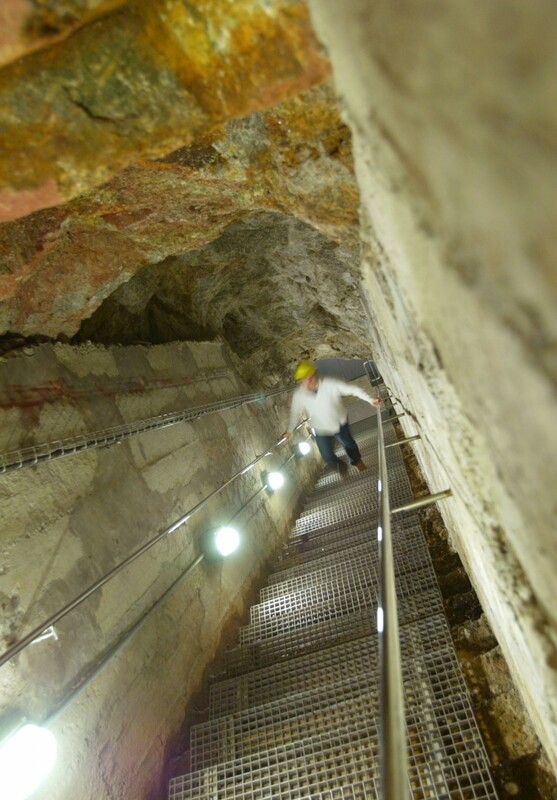 The WW2 tunnels and escape steps, which are Grade II listed, are a highlight for thousands of visitors to the museum. Porthcurno Telegraph Museum is delighted to have been nominated in the Best Heritage Attraction category in the new Cornwall Today Awards. Cornwall Today magazine, which has developed the awards to celebrate all aspects of life in Cornwall, has invited people to cast their votes online now. The nomination comes shortly after the museum won Gold in the Small Visitor Attraction of the Year category at the Cornwall Tourism Awards in late 2012, and then scooped Bronze Small Visitor Attraction at the South West Tourism Excellence Awards in February 2013. “We are very grateful to be nominated for this award alongside some of Cornwall’s best known and loved heritage attractions. These awards are a celebration of the very best of Cornwall and we are extremely proud to be recognised as a part of that.” Rachel Webster, Communications Officer, Porthcurno Telegraph Museum. Anyone can vote online across the 15 award categories, including Best Heritage Attraction. People are being invited now to vote online across the 15 award categories. The results of the voting will be announced at an awards ceremony on Thursday 26th September 2013 at the Headland Hotel, Newquay.